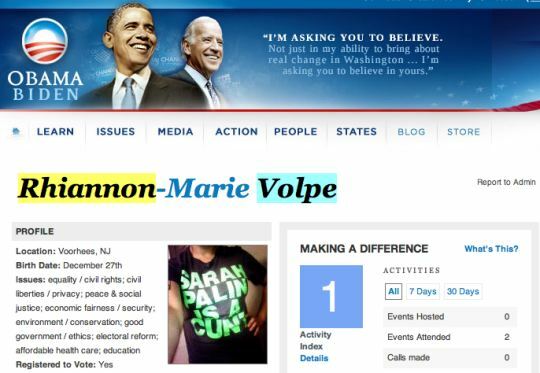 The media keep hammering away at the “ugly incidents” at McCain-Palin rallies, but oddly they fail to notice stuff like this at the official Barack Obama blog site: Barack Obama and Joe Biden: The Change We Need | Rhiannon-Marie Volpe. This is a Google cache link, because the picture of the disgusting T-shirt has already been tossed down the memory hole. If a guy with a monkey doll gets national coverage, why doesn’t this?